We had a fairly low-key Halloween. The muchkin, Ian, and I headed down to laurel's to help hand out candy and let the munchkin trick-or-treat in her much more kid-friendly, easy to walk, neighborhood. 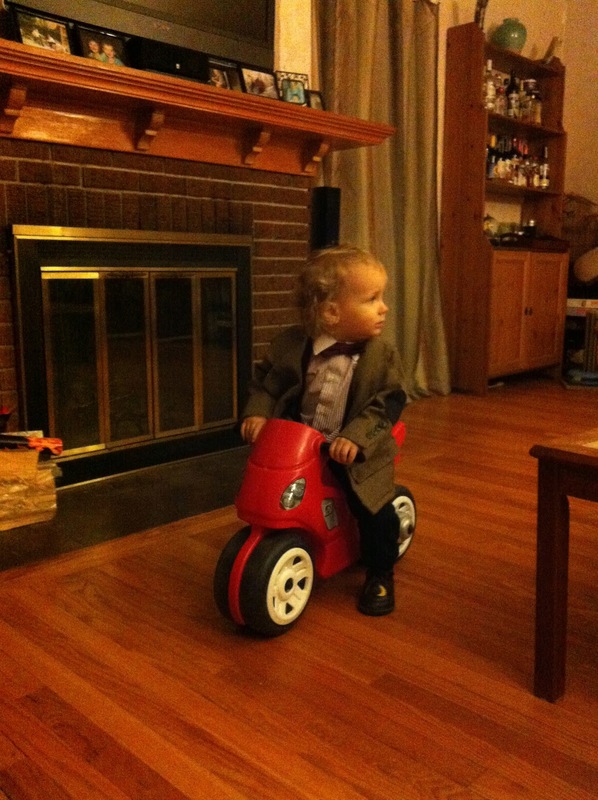 The munchkin was dressed as the 11th Doctor... cause I am a nerd. the past weekend was also the Transcending Boundaries Conference, where this pic was taken. 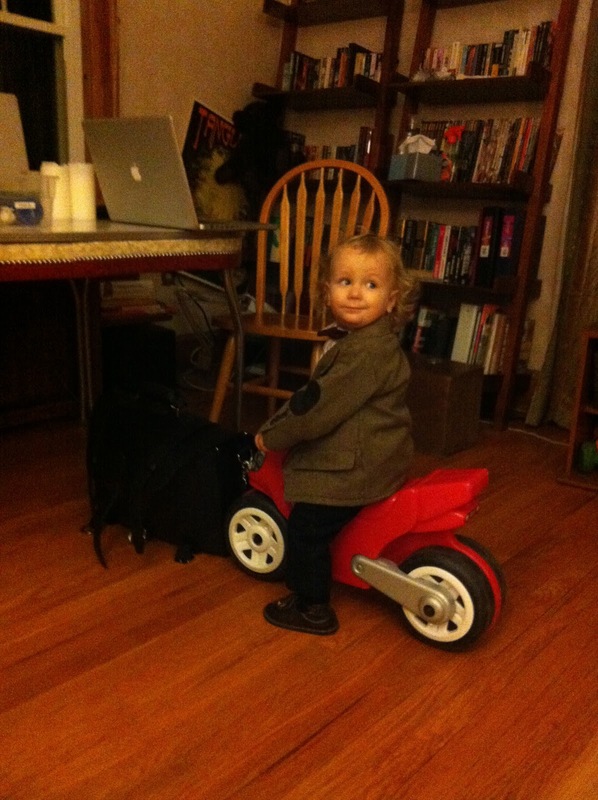 I made the munchkin's jacket by taking apart a men's tweed jacket I bought at Goodwill for $5 ala this awesome tutorial. I also made the suspenders and bowtie, again with the help of some great online tutorials. 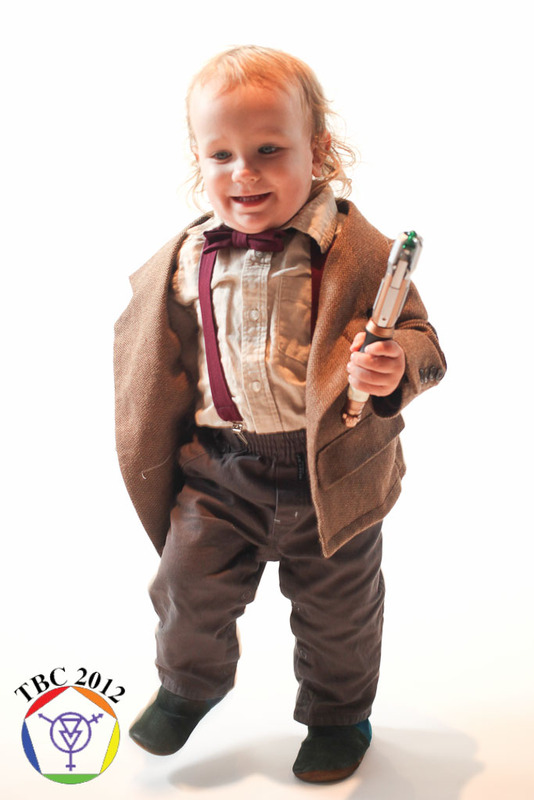 The sonic screwdriver came from ThinkGeek. The munchkin had a fun time zipping around laurel's living room on a toy motorcycle.